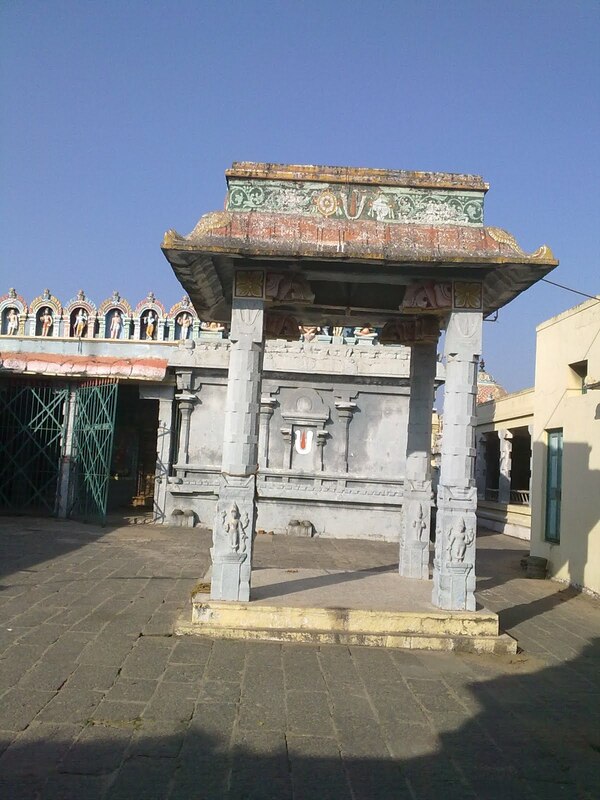 Pazhaiya Seevaram is a small village located about 20 kms from Kanchipuram on the road going towards Chengalpattu. 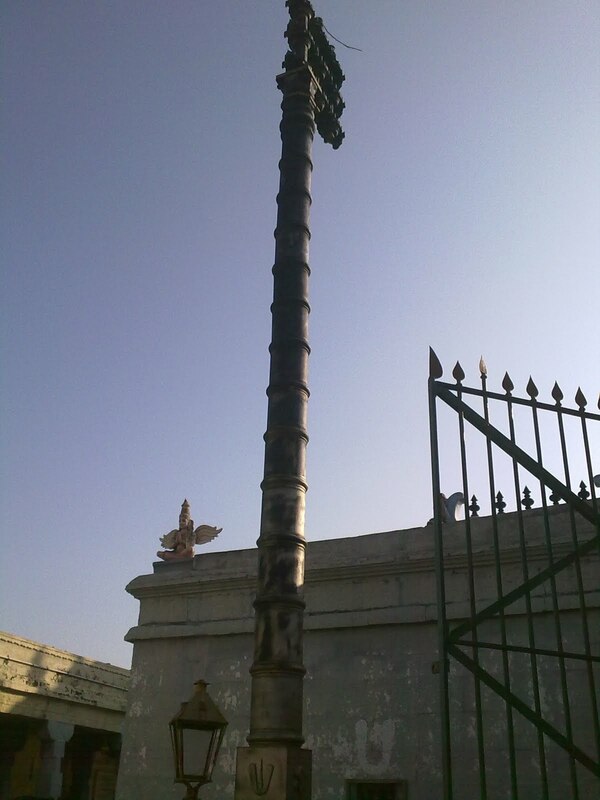 While going from Chengalpattu, one can reach Pazhaya Seevaram 5 kms before Walajabad. 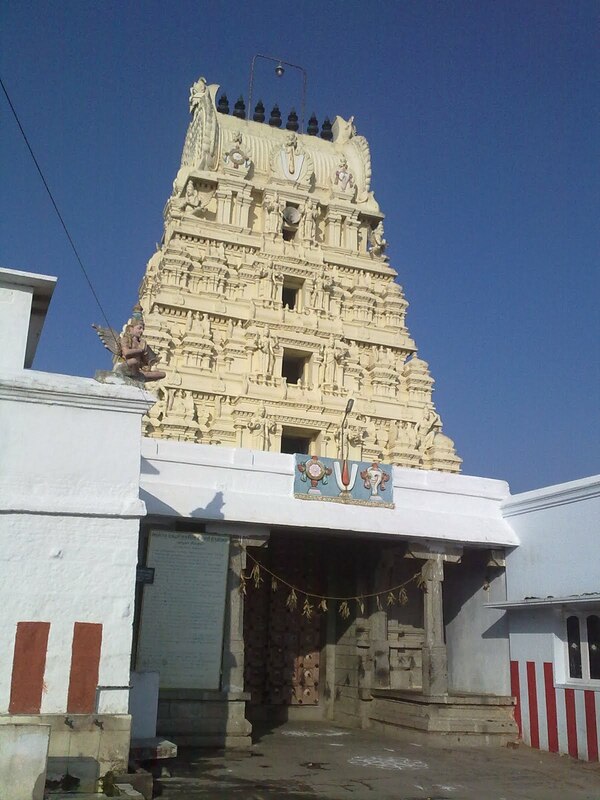 Pazhaya Seevaram has an ancient temple for Sri Lakshmi Narasimhar, amidst picturesque location. 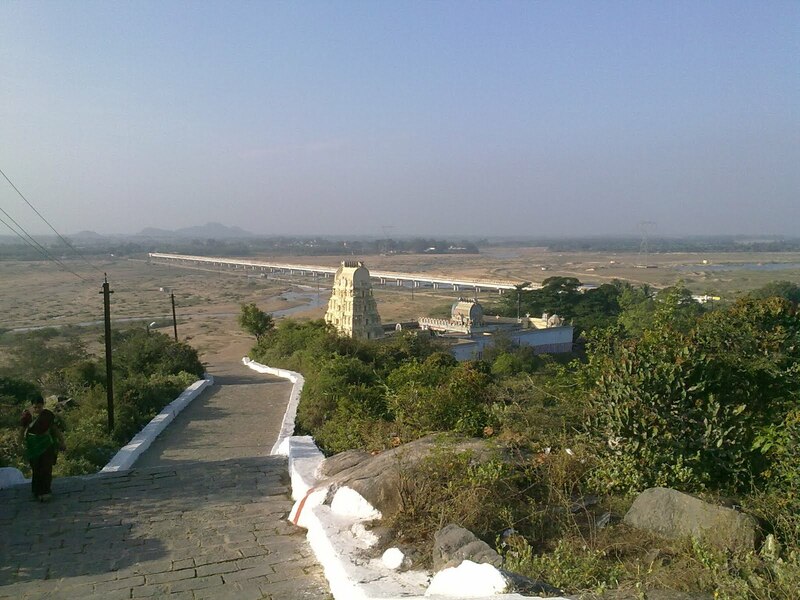 This temple is located on a small hill on the banks of the river Palar. 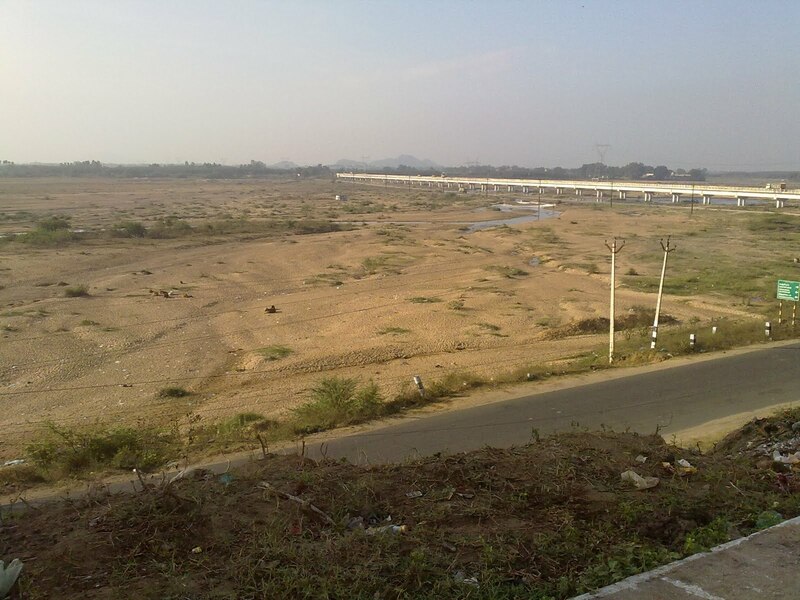 It is said that 3 rivers namely, Palar (Ksheera Nadhi), Cheyyar (Bahu Nadhi) and Vegavathi (Saraswathi) merge here to become one and it is called Triveni Sangamam. 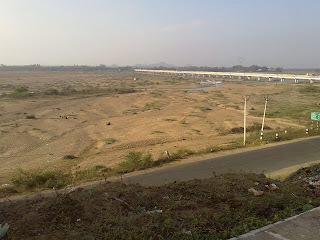 It is considered equally sacred as Ganges here. 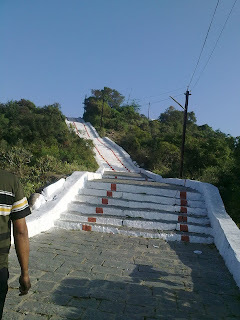 The hill on which the temple is located is called Padmagiri. There is a motorable road to ascend the hill. 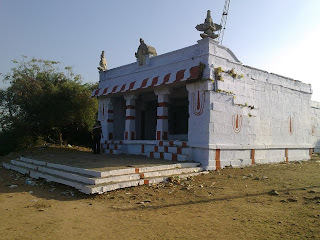 The temple is not located on the hill top. 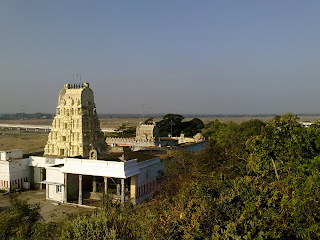 While ascending the hill, one can find the temple in a few hundred metres itself on the midway. From the temple one can see the scenic view of the river Palar and the surroundings. According to the Sthala Puranam, once in Naimisaaranyam, a Rishi by name Vishnu Siththar enquired with the other Rishis about a best place where he can get the Dharshan of Lord Vishnu as result of the penance. 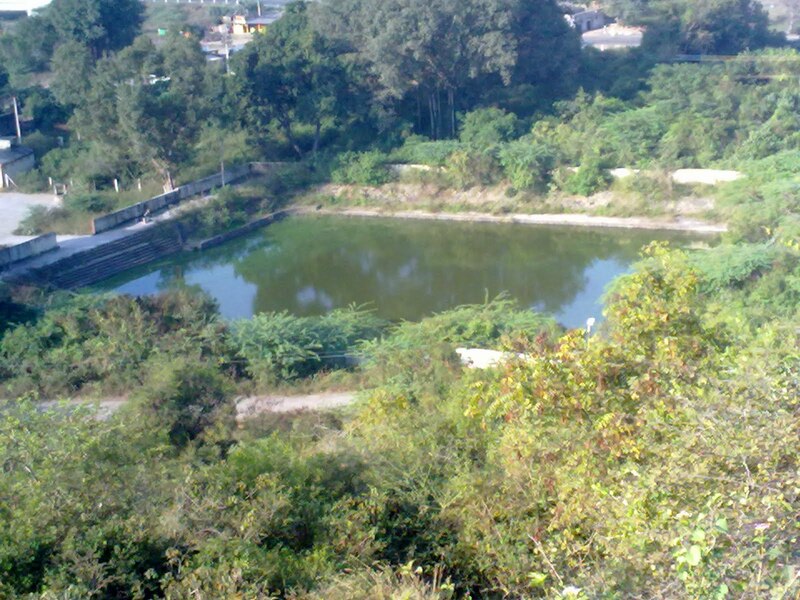 Another Rishi called Mareecha Muni explained the him about the existence of such a place on the earth, where one’s penance (Thapas) will get fulfilled with the Dharshan of Lord Narayana and guided him to this place which was called Padmagiri. He also told the story of Athri Rishi, who got the Dharshan of the Lord in this place in the form of Sri Lakshmi Narasimhar, after his severe and dedicated penance. 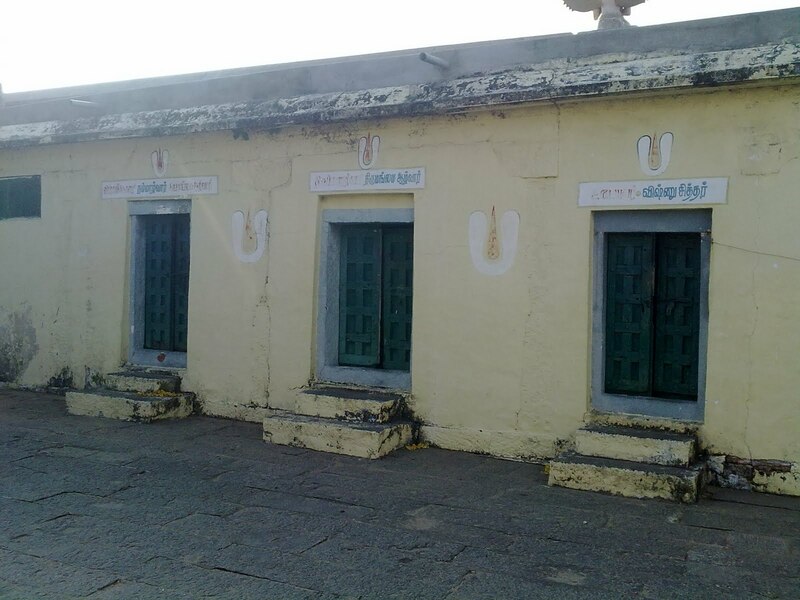 It is said that, Athri Rishi, after having Dharshan of the Lord, prayed the Lord to stay in this place and bless the people worshipping here. The Lord accepted his wish and stayed here in the same form to bless the mankind. 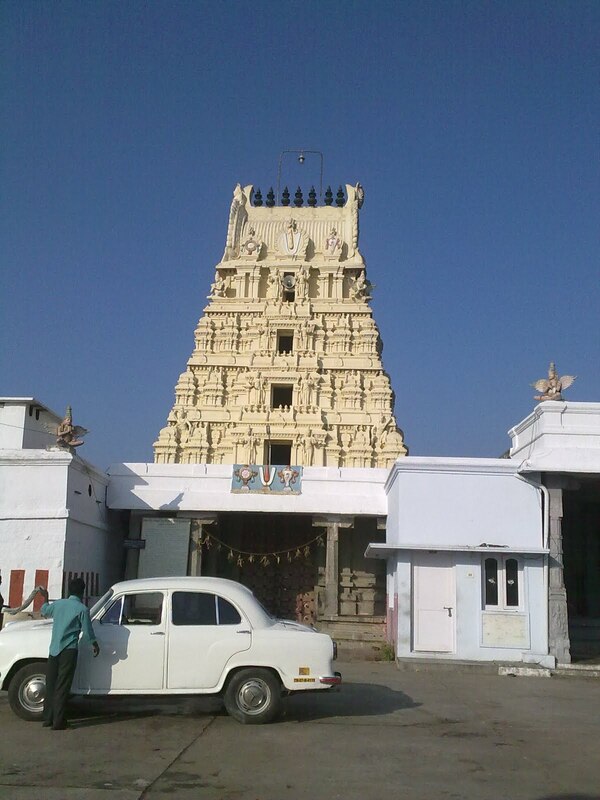 The temple is so good amidst wonderful natural setting and is maintained very well. 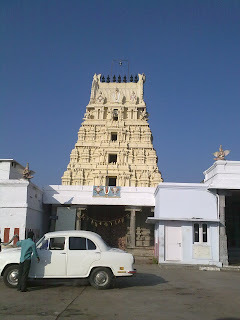 The temple is facing towards the east with a grand Rajagopuram. 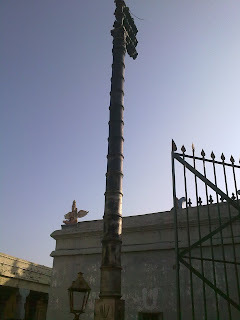 A tall and beautiful Dwajasthambham (flag staff) on the outer praakaaram adds beauty to the temple. The main deity, Lord Sri Lakshmi Narasimhar is having the Goddess Lakshmi seated on his lap and is cool and calm, hence also called as Shaanthamoorthy. 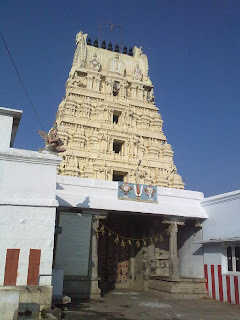 Though the temple is facing east, the Lord in the sanctum is facing west towards Kanchipuram. 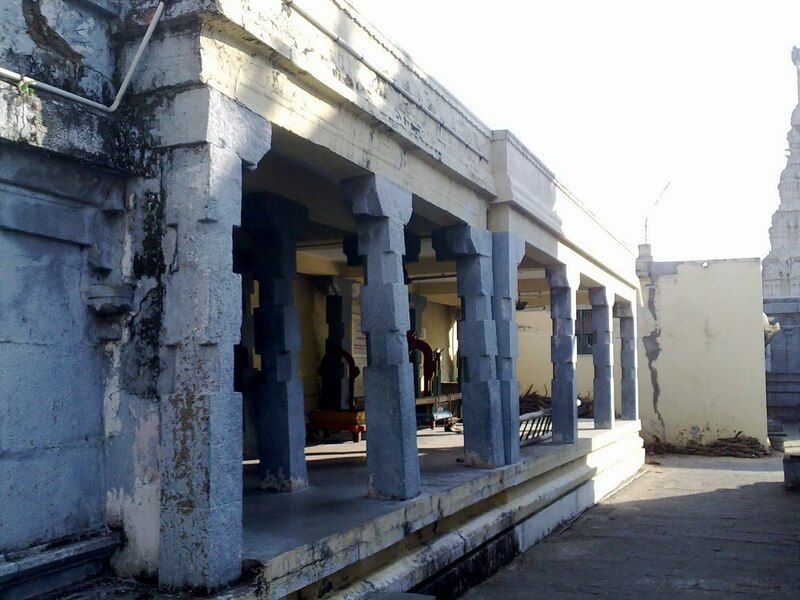 There is a beautiful and ancient stone mandapam on the northern side. There is a beautiful 4 pillared stone mandapam at the eastern side of the praakaaram which is probably used for Urchavams. 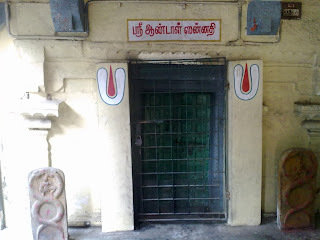 There are shrines for Nammaazhvaar, Thirumangai Aazhwaar and Vishnu Chiththar together at the south eastern side of the Praakaaram. The temple has a beautiful pond, which can be viewed while climbing up the steps to reach the hill top. 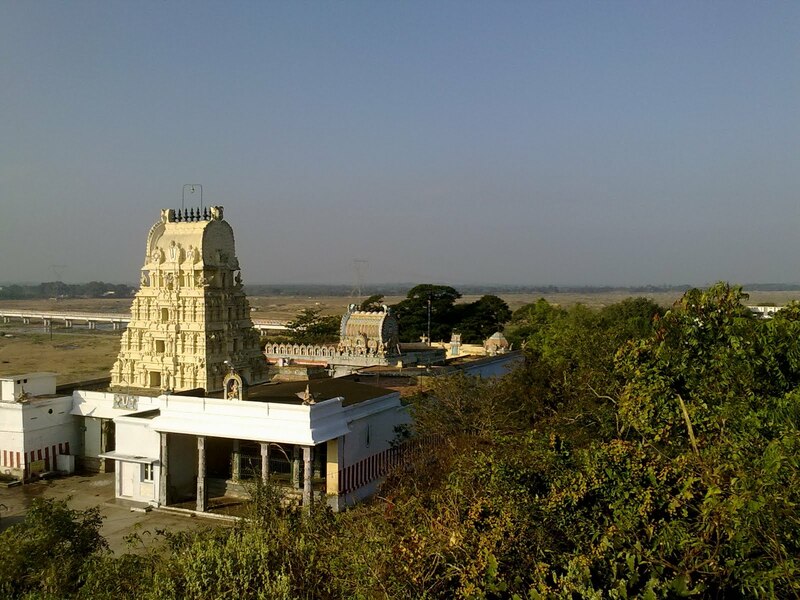 A wonderful temple which should not be missed, not only for the speciality of its deity, but also for the location amidst scenic surroundings. Another temple at the village called Thirumukkoodal for Sri Appan Prasanna Venkatesa Perumaal on the other side of river Palar is again a wonderful temple not to be missed. How nice to read this, after a long gap! This temple looks really charming and the surroundings are beautiful. Thanks for a lovely writeup, as always. @ Thanks a lot Kamini! Yeah.. long gap! Singam Vetaiku porapatachi.. Great ..Please let us know the temple timings..
Lovely. Please add more details about the prasadam. The food if they are served etc. Will be interesting. Have to do a Chengalpet temple tour soon!!! ALL CAN WIN PROG for Studnts. very nice writeup , all the best for future events. 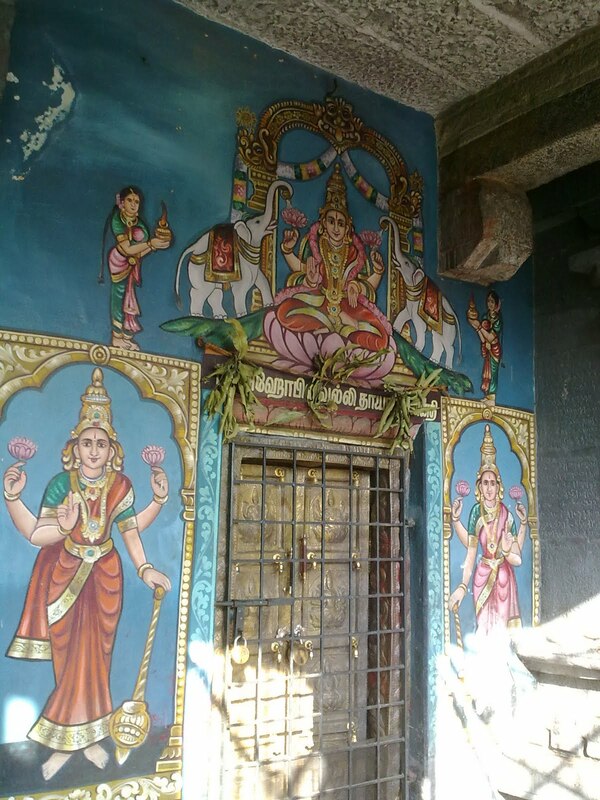 I am very happy to see these temples, it’s very beautiful, and I am completely enjoyed by seeing these temples. All comments and articles are very good. 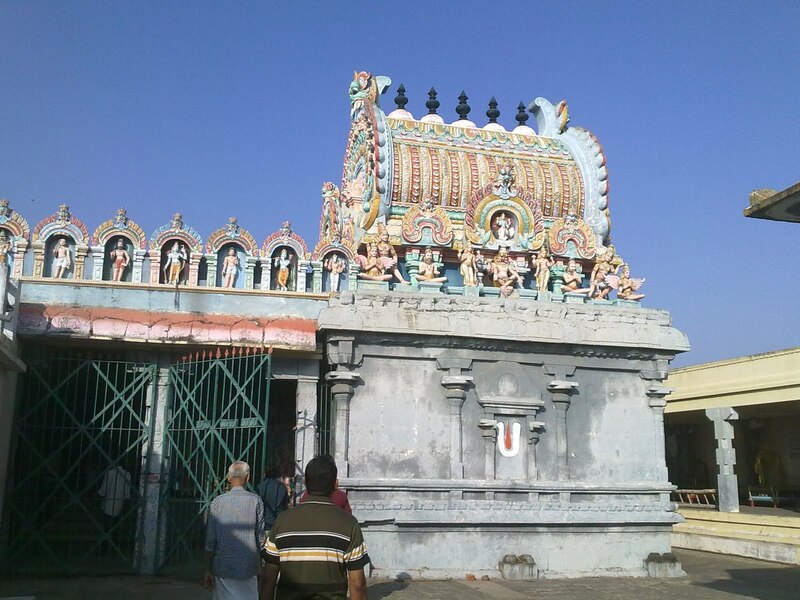 Pazhaiya Seevaram is a small village located about 20 kms from Kanchipuram on the road going towards Chengalpattu. I visited last month for that i book my Bus Ticket through online. very informative and useful article Saravanan. I hope to visit this and Singaperumal koil when we visit India soon. Very helpful articles. Please keep writing. You are helping lot of people by your articles like this. God bless you.